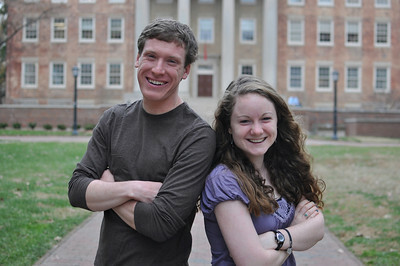 Sarah MacLean and Kyle Villemain, junior Global Studies and Peace, War, and Defense majors, are the winners of the 2013 Eve Carson Memorial Scholarship. 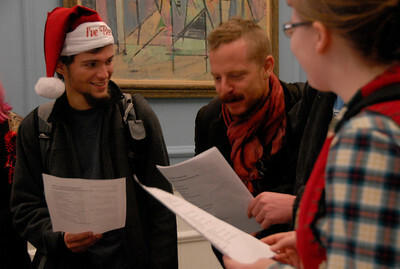 The scholarship provides $5,000 for a summer program of their choice and half of their senior year tuition. 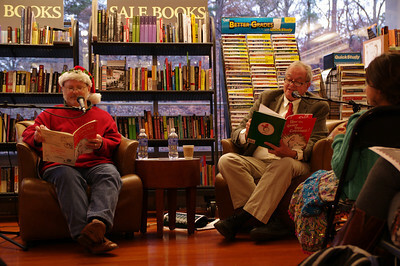 UNC Student Stores employee George Morgan (left) and Professor Tom Stumpf (right) read "How the Grinch Stole Christmas" in Latin and English at Bull's Head Bookshop's annual reading. 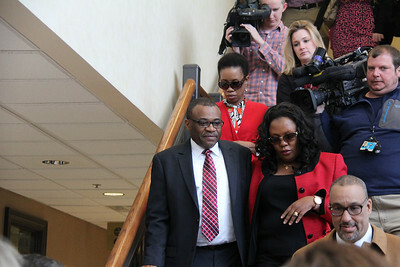 Indictments Julius Nyang'oro arrived at the Orange County courthouse in HIllsborough Tuesday after being indicted Monday by a grand jury. 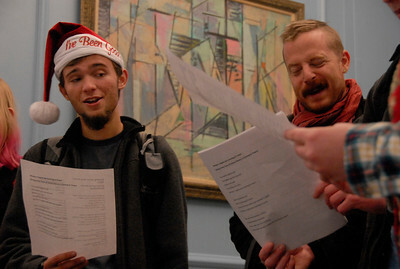 First-year Neal Siekierski carols with Mike Dimpfl, a graduate student active in Student Action for Workers, at noon on Monday in the South Building to protest business practices utilizing sweatshop labor overseas through a series of worker's rights themed holiday songs. Students gathered with Mike Dimpfl, a graduate student active in Student Action for Workers, at noon on Monday in the South Building to protest business practices utilizing sweatshop labor overseas. 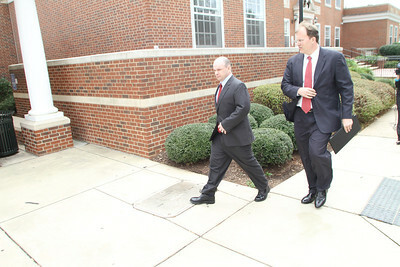 "We feel that we have a big chance to impact Chancellor Folt's decision," sophomore Shannon Brien says. 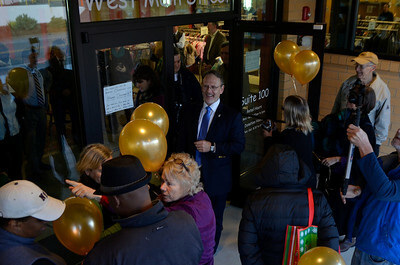 The PTA Thrift Shop opened on Monday morning with a ribbon cutting ceremony. Patrons lined up outside, eager to see the new building and the new stock. Maggie Love, 88, paints "happy paintings" that are now on display at University Mall. 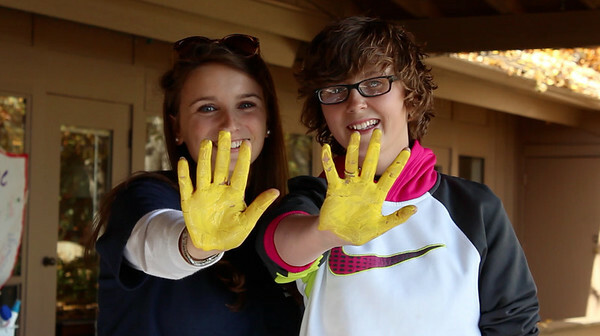 She has macular degeneration and is starting to lose her eyesight, which makes painting more difficult. She continues to paint and now does more abstract work. 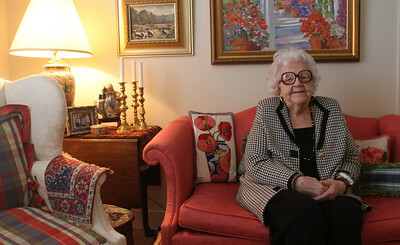 Love poses with her artwork in her home at Galloway Ridge retirement community at Fearrington. Professor Hong-an Truong talks to Audrey Anderson, a sophomore drama and communications major, as she works on her final project in Art 106, "Core Concepts: Time." 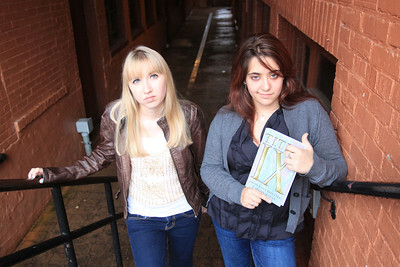 The project is a way to show time-based works of art through digital media. 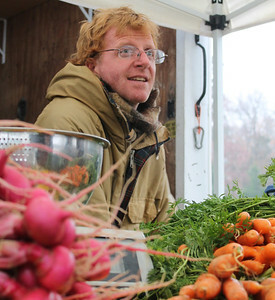 Ben Bergmann, a vendor from Fickle Creek Farm in Efland, sells fresh produce, pastured eggs and pasture-raised meats at the Chapel Hill Farmer's Market. On Tuesday November 26, he weathered the rain and cold to supply his clients with cooking tips and the necessities, including turkeys, for Thanksgiving. The Farmer's Market is located outside at University Mall. 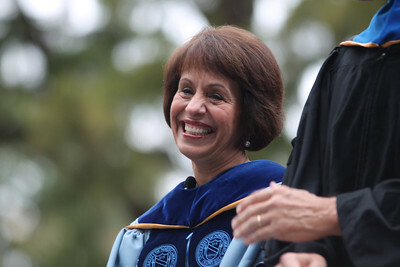 Terry Watson, a sports agent, was indicted in relation to the UNC football scandal Wednesday, Oct. 9 at the Orange County Courthouse in Hillsborough, N.C.